Michele is a patient turned employee who has worked in this office since 2006. Her family has been in Gravesend, Brooklyn since the 1920’s. 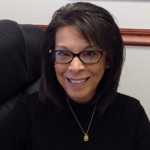 She attended Saints Simon and Jude Elementary School, Lafayette High School and Pace University. Michele’s mother was diagnosed with both breast and ovarian cancer which makes Michele a great person to navigate patients through the steps of their treatment. 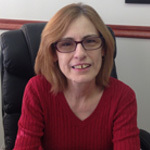 She has a psychology background since 1980 and received her patient navigation certificate in 2007. Michele is currently helping doctors navigate our patients through their treatments, and assisting me on all our social media events. 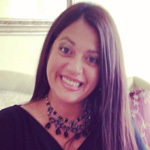 Andrea studied Business at Staten Island College and worked in the home healthcare field for approximately 10 years. She is the proud mother of two girls, Sofia and Alexa. 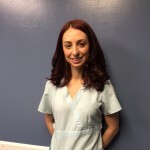 Andrea is a hard worker and is dedicated to ensuring that the patients are at ease especially prior to surgery. Marilyn began working for Dr Kehoe in 1993. She resides in Bath Beach, Brooklyn. Marilyn attended P.S. 101, Montauk Junior High School, and FDR High School. She is a certified medical transcriptionist. In her life, Marilyn has been diagnosed with Breast Cancer, Thyroid Cancer, and Uterine Cancer. Dr Kehoe treated her for her breast and thyroid cancer. 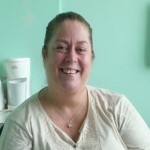 Doreen is also a patient turned employee, who joined our staff in 2008. She was born and raised in Brooklyn and still resides there to this day. Doreen attended St Joseph’s High School and Brooklyn College. Doreen is our Scheduling Specialist who handles over 400 phone calls a day on a 6 line phone bank. Maureen began working in this office in 2012. Her family has lived in Staten Island over 50 years. Maureen attended Staten Island Hospital School of Radiological Sciences. She has been doing mammography for over 15 years. Prior employers were Staten Island University Hospital Breast Imaging Center and Seaview Radiology. She is an active member of The American Registry of Radiologic Technologist. Born in Brooklyn NY and currently resides in Staten Island NY. Daniella attended The American Institute of Medical Science. She graduated at the top of her class and was highly recommended to us. Daniella has become a tremendous asset to the practice. 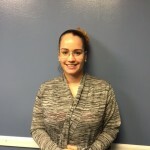 Vanessa resides in Staten Island, NY and attended Mendel College for Allied Health majoring in Billing and Medical Assistant. She has extensive knowledge regarding Insurance. Kristyanne resides in Brooklyn, NY and attended Medgar-Evers College for Liberal Arts and Accounting. 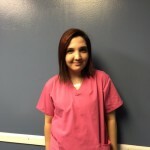 Her goal is to further her education in a Nursing Program. 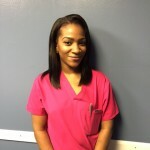 She has direct contact with patients regarding all Medical records and she is extremely passionate and successful at her work. Brittany is from Bath Beach, Brooklyn and attended New Utrecht High School. Brittany cleans the exam rooms, hangs mammo films and escorts patients to the rooms for Dr Kehoe to examine and complete his evaluation.